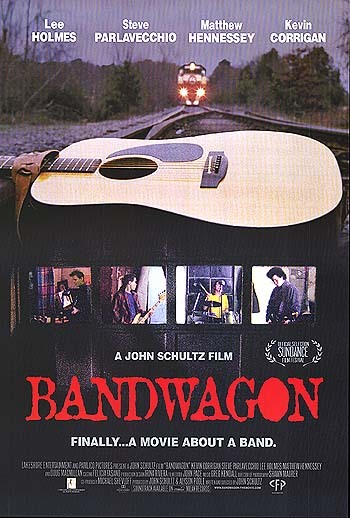 More Music & Movies: Bandwagon (USA, 1997) | The Cineaste's Lament. ← Finally: The Replacements get the documentary treatment they deserve. Good Lord, how I love this cult favorite about a ne’er-do-well indie band from North Carolina. It came out when I was living and working in Winston-Salem. N.C., and just seemed to sum up everything I loved about the late 1990s indie scene. Here’s the one and only video from Circus Monkey, the fictional band at the heart of the movie. The song is called “It Couldn’t Be Ann.” It’s amazing. This entry was posted in cult favorites, Film Criticism, Music & Movies and tagged Bandwagon, indie music, John Schultze, Kevin Corrigan, Mitch Easter, North Carolina, The Connells. Bookmark the permalink.